There are many cruises out of Tampa, Florida, that go to the Cayman Islands. Four cruise lines offer the trips. See the schedule of departures below. Grand Cayman Island is the cruise port and largest of the three Cayman Islands. It is located south of Cuba and west of Jamaica in the Caribbean Sea. The Cayman Islands are one of the world's best diving destinations. Famous Seven Mile Beach is on the west side of the island. The town of George Town on Grand Cayman is the home of the National Museum, historic Fort George, and luxury shopping. The National Trust's Mastic trail winds through forest with native plants and animals. Here is a short video about the world class diving available in the Caymans. 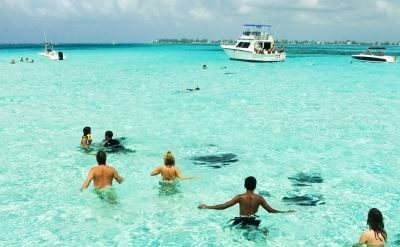 A variety of shore excursions on land and sea are available at Grand Cayman. Swim with Stingrays. Guided snorkeling tours. Visit a turtle farm and swim with the turtles. Ride on an island tour. Swim with dolphins (detecting a theme here?) Tour on a catamaran or jet ski. 4x4 Jeep adventures. Kayaking outing. Parasailing. Helmet-diving Sea Trek. Browse a list of top-rated things to do on Grand Cayman. Take your pick and have fun. 5-day cruises to the Cayman Islands on Carnival Cruise Line. Round-trip from Tampa to Grand Cayman (Cayman Islands) and Cozumel (Mexico). • 2019 departures: April 8, 22; May 6, 11, 20, 25; June 3, 8, 17, 22; July 1, 6, 15, 29; August 3, 12, 17, 26, 31; September 9, 14, 23, 28; October 7, 12, 21, 26; November 4, 9, 18, 23; December 2, 7, 16, 21, 30. 5-night cruises to the Cayman Islands on Royal Caribbean. 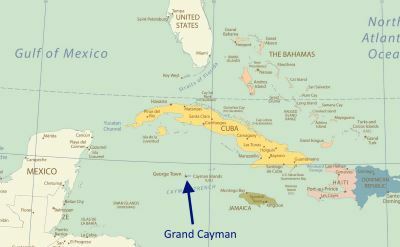 Round-trip from Tampa to Grand Cayman (Cayman Islands) and Cozumel (Mexico). • 2019 departures: April 6, April 20, December 14, December 28.